Dwayne Dopsie has a plan for his return from the Grammys this weekend. Dopsie is heading straight to Calvary Cemetery on Teurlings Drive in Lafayette. He hopes to have a present for his late father, Alton Rubin Sr., a legendary accordionist that music world knew as Rockin’ Dopsie. His father played on a gold record, Paul Simon’s “Graceland” album. But the elder Dopsie never won a Grammy for his own music. “If things go well Sunday and I’m able to win, I’m dedicating this one to my father,” said Dwayne Dopsie, born in 1979 in Lafayette. “When we get off the plane and come back into town, the first place I’m stopping is to the grave site. Dopsie tries to add another jewel to the family crown Sunday at the 60th Grammy Awards in New York City. Dopsie’s “Top of the Mountain” album is up for the Best Regional Roots Album Grammy, along with “Kalinda” from the Lafayette-based Cajun band, the Lost Bayou Ramblers. Slide guitarist Sonny Landreth’s “Recorded Live in Lafayette” CD, done at the Acadiana Center for the Arts, is nominated for Best Contemporary Blues Album. 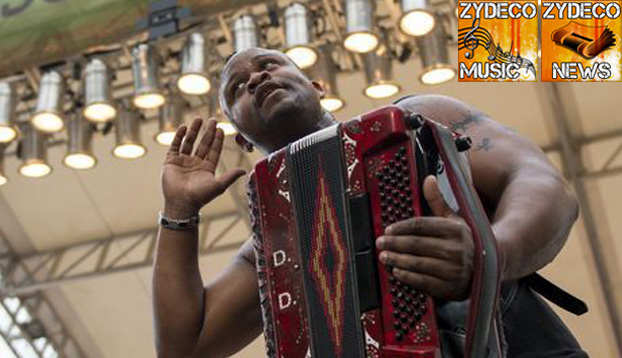 Dopsie’s nominated album features more of the fiery style that earned him the title, “Jimi Hendrix of the Accordion,” from Rolling Stone magazine. Dopsie even does a rendition of the Hendrix classic, “Voodoo Child,” on the album. “I play an accordion like a guitar,” said Dopsie. “Some of my licks I incorporate that from when I first started playing washboard. Certain things I do, they call triplets, I get that from playing the washboard. 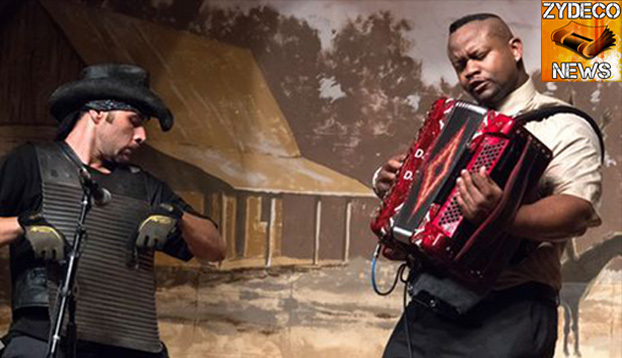 Dopsie and his Zydeco Hellraisers band, along with his brothers, Rockin' Dopsie Jr. and the Zydeco Twisters, continue a music legacy that their late father started in the 1950s. A touring musician since the age of 19, Dwayne has played in all 50 states and 40 countries. He won the “America’s Hottest Accordionist” title in 1999. Tours of Brazil and Europe are planned for later this year. Dopsie, who has played Festival International de Louisiane in recent years, would like to play more at home. But he’s not a fan of the zydeco currently popular around his hometown, which can be heavy on rap and hip hop. 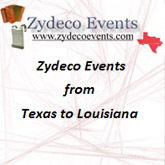 “I think they took the whole zydeco out of it. It’s almost like R. Kelly kind of music. I don’t consider that zydeco. To people that came before them, that’s like a slap in the face. They worked hard with the music and to put Lafayette on the map.